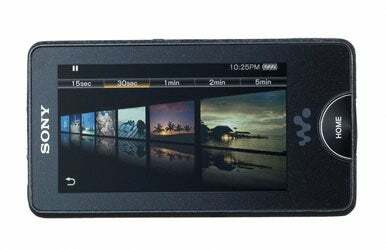 Sony is refreshing its Walkman line with new flagship models that pack noise cancelling, a bright touchscreen display, mobile TV, and the ability to surf the Internet and watch YouTube videos. The NW-X1000 players will go on sale worldwide beginning this month in Japan, and on Tuesday, I got a chance to try one out. 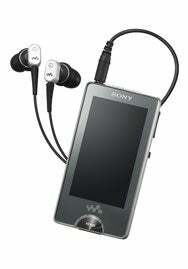 It’s been a while since I tested a new Walkman so anticipation was high for the new models and I came away impressed. Among the features packed into the palm-sized players that Sony is emphasizing most is the noise cancelling. The digital system is said to cut 98 percent and it worked surprisingly well during a Sony news conference. While listening to a song with the supplied earbuds I could barely hear any other noise. The only thing I could hear—and then at a very quiet level—was the voice of a presenter who was speaking through a microphone. Sony says its high-end noise cancelling headphones cut 99 percent of noise, so the new Walkman is almost as good. The device itself is small, and all features are accessed through a touch-driven user-interface. A button under the display always takes you to the home screen from where you can access the main functions. Tap the music icon and you’re into the music player. Album art is displayed in the center of the screen and other relevant information around the edge. To browse the library, just hold down the album cover and swipe your finger up or down and a stream of cover graphics slide past you on the screen. The speed is controlled by how fast you swipe. A nifty little feature lies at the bottom of the main music screen. At first I didn’t pay much attention to it but the small globe icon is a hotlink to take you out onto the Web and find content related to the music you’re listening to as long as you have access to a Wi-Fi network. Sony has built in dedicated links to YouTube and Windows Live, so you can perform a video or Web search through these two services with just a couple of clicks. If you want to search for something else, you can type through an on-screen keyboard. Some of the most often used controls, such as volume, play and pause, are located on buttons on the side of the device making it possible to control things from your pocket without having to go through the on-screen interface. So far, I’ve just talked about the navigation and the use of the player but neglected to say much about the screen itself. The X-series features a 3-inch OLED (organic LED) screen that is bright and offers a 432-by-240 pixel resolution, which means images are vibrant and crisp. The touch screen was responsive and I didn’t have any problems with it. There’s one other neat feature worth mentioning: drag and drop. You can simply drag music files across your desktop to the player’s memory and it will organize the music as long as the files include metadata. That means you don’t have to use Sony’s software and even opens up the possibility of using iTunes to download unprotected MP3 files and then drop them into the Walkman’s memory without additional software. In Japan, there will be two versions: The NW-X1050 has 16GB of memory and the X1060 has double that. Sony estimates the 16GB of the X1050 is enough space to store about 4,100 songs encoded at the standard 128Kbps mode. Alternatively it will accommodate 36 hours of 784Kbps video. Battery life, which I couldn’t test during the news conference, is up to 33 hours in music player mode although that decreases quickly into the single digits when viewing video, watching TV or running Wi-Fi. Audio format support includes MP3, Windows Media, Linear PCM and ATRAC files while they will play AVC, MPEG4 and WMV9 video files. The 16GB model will cost around ¥40,000 and the 32GB model will be around ¥50,000. Look for them in markets outside of Japan by the middle of the year.